So I've been kind of grumpy lately about lots of things. But here are two (totally random) things to be happy about. 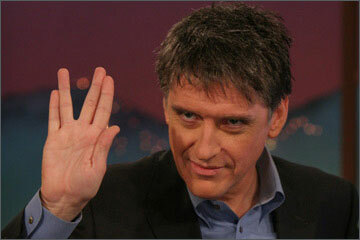 One of them is Craig Ferguson who is on at 12:35 AM on CBS (which I can't stop thinking of as Channel 2, but here is Channel 12 and that is just eternally confusing). This means that I have seen him a total of twice because now that I live in the country, I go to bed at 10:30. But, last night I was up late due to a late afternoon nap and I caught Ferguson, who I had also seen once before when I got home late from a bar or something (oh, that's rare). Anyway, he's hilarious. Looks like Amy Sedaris is on tonight. I will try my hardest to stay up to see her. I'm serious about this. He's super good. He just rambles and is funny. Watch last night's monologue. There's a whole ramble on Viagra that's great. The other thing (and you are just going to laugh when you find this out) is Dawn Direct Foam. I know. Home cleansing products are so not my thing. I'm totally the kind of person who just buys the same thing over and over again. But it was on sale at Target AND it came with a free sponge and I needed a sponge, so there you go. I bought it. AND IT IS SO GOOD. I feel kind of like a ridiculous housewife but I love it. And I have been WASHING MY DISHES BEFORE I PUT THEM IN THE DISHWASHER just to use it. And also because the dishwasher doesn't always get the peanut butter off the knives if I don't pre wash. But now IT'S SO EASY. 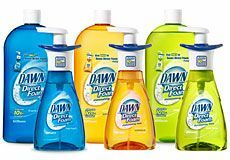 I want to do a testimonial for Dawn Direct Foam. I swear to god. Throw away the Palmolive right now. And it's probably on sale. And you might even get a free sponge. What could be bad? So, these are my recommendations for fabulous new things. Now back to our regularly scheduled programming of grumpiness.